The crop of homes we've featured from across America this year range from quaint cottages in Vermont to a luxurious villa with a private lagoon in Florida. US editor Dan Howarth has selected 10 of the best examples for our review of 2017. British architecture firm McLean Quinlan modelled this stone house in Jackson, Wyoming, on a nearby 19th-century log cabin that is listed on the National Register of Historic Places. 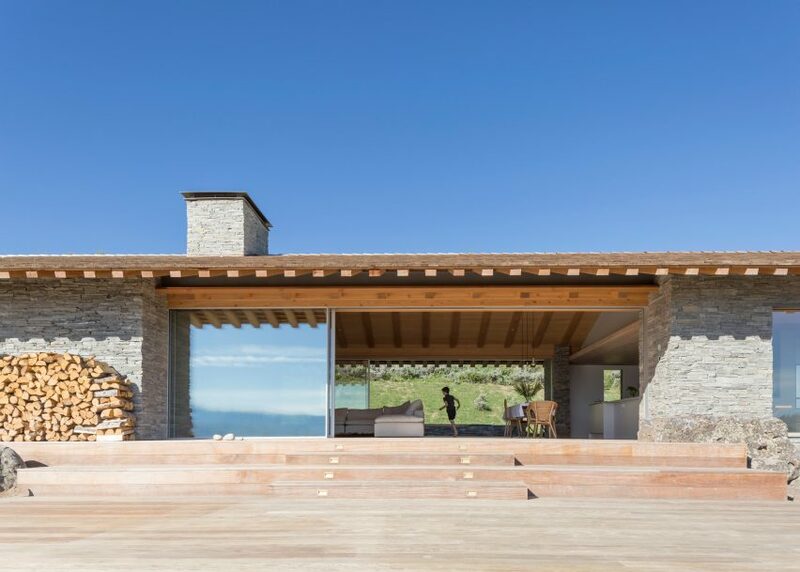 The new residence is a two-storey rectangular construction with a cedar shingled roof, situated on a sloped, open plot with surrounding views of the Teton mountains. 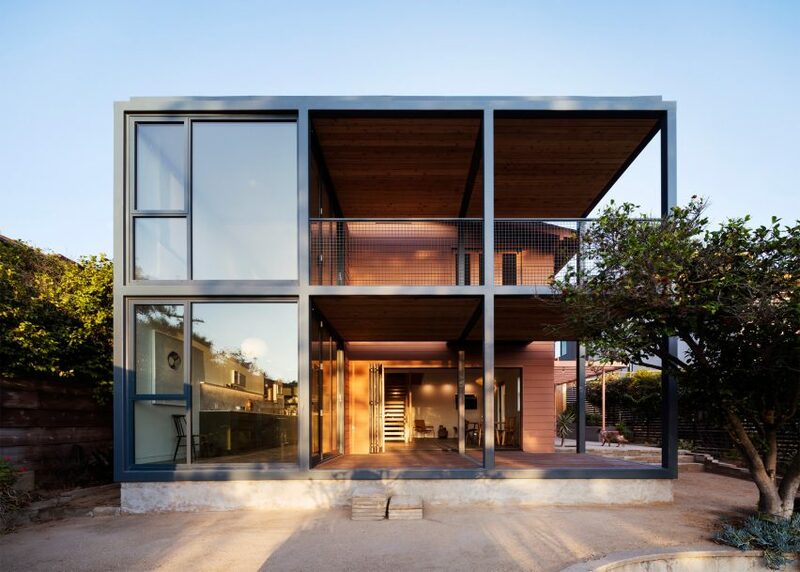 Mexican architecture studio Productora attached a two-storey steel unit onto the back of a pink bungalow in Los Angeles' Echo Park to add more living space. The project included a complete remodel of the 1920s bungalow, with the back-end addition and an excavated crawlspace created at the front of the house. 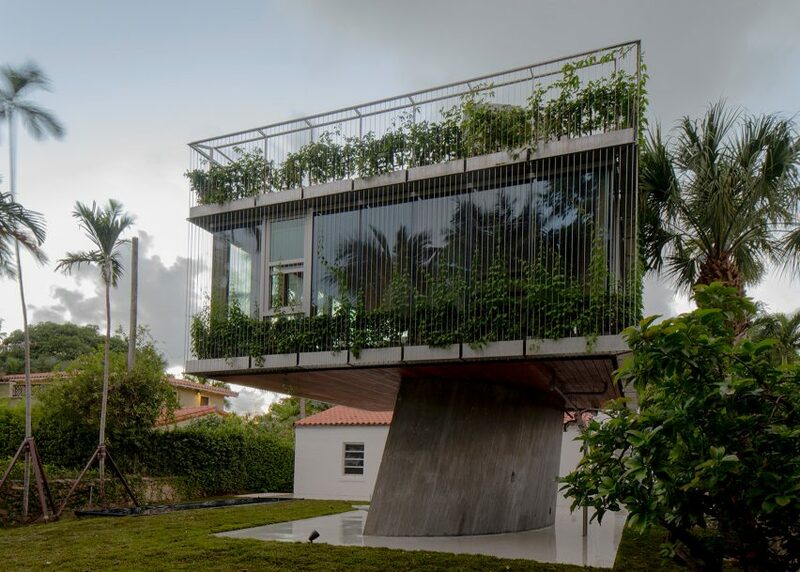 This plant-covered extension to a bungalow in Miami is supported by a spiral concrete core that was precisely calibrated to match the sun's path at the height of summer. Completed for renowned chef Frank Prisinzano, the standalone addition comprises an exterior kitchen on the ground floor, a master bedroom on the first storey, and a sun deck on the roof. New York firm Desai Chia Architects built a home on Lake Michigan with blackened timber walls and other reclaimed materials found on site. 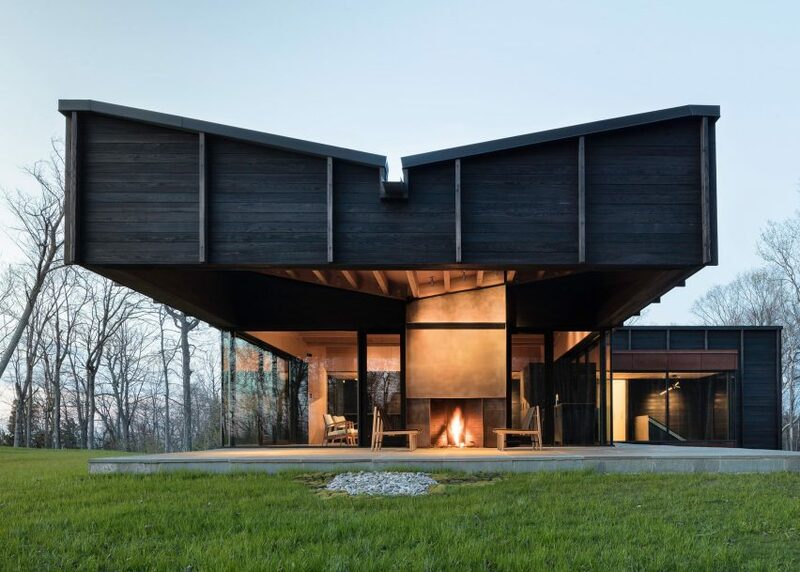 The building's roof extends 20 feet (six metres) from the end of the kitchen, forming an expansive, covered outdoor seating area with lake views and a fireplace. San Francisco studio Natoma Architects completed a family residence that consists of intersecting volumes, with connections between its planes of concrete and glass designed to look as minimal as possible "like an iPhone". 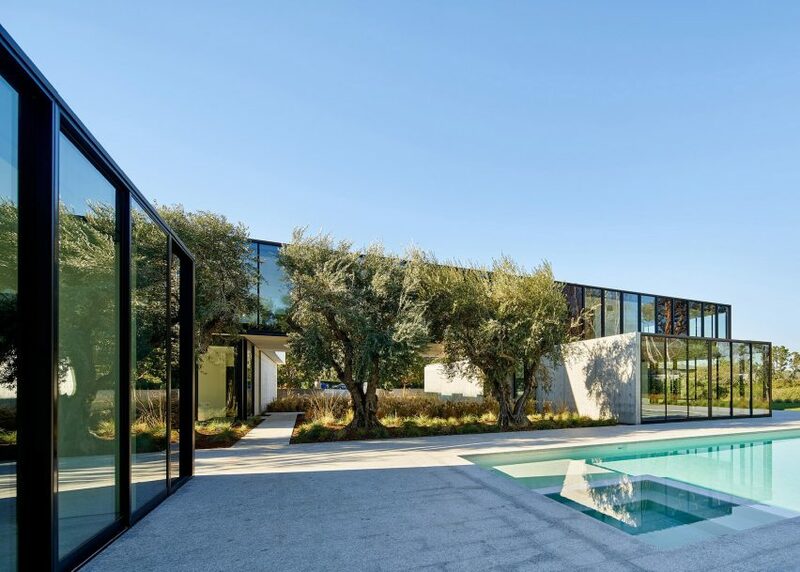 Perched on a hilltop in Atherton, California, the residence also features a pool house, guest house and ample outdoor space. Architecture studio The Ranch Mine based the style of this canal-side home on the missions built in the American West over 200 years ago. 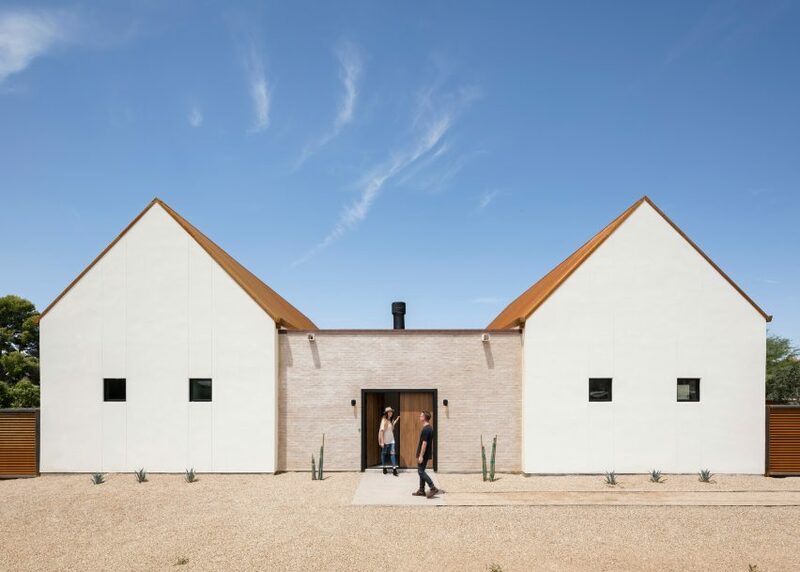 It is aptly named for its location on the 181-mile channel that brings water into the suburbs of northern Phoenix, which cuts through the city grid and gives the site an irregular shape. Jim Olson, co-founder of Seattle architecture studio Olson Kundig, made a series of additions to a bunkhouse he designed and built aged 18, as a first-year architecture student. 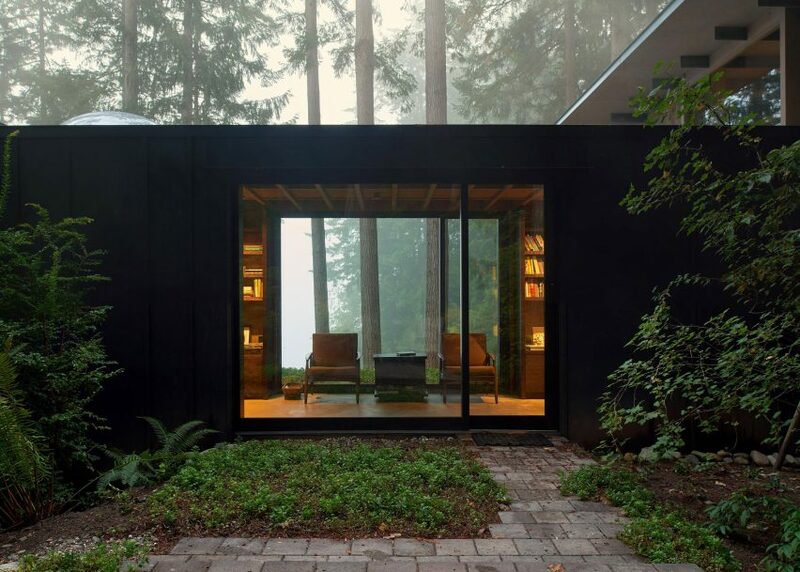 The project has involved numerous expansions over the decades to a 200-square-foot (19-square-metre) bunkhouse built in 1959, which is located on a forested site in Longbranch, a village on a peninsula in the Puget Sound. 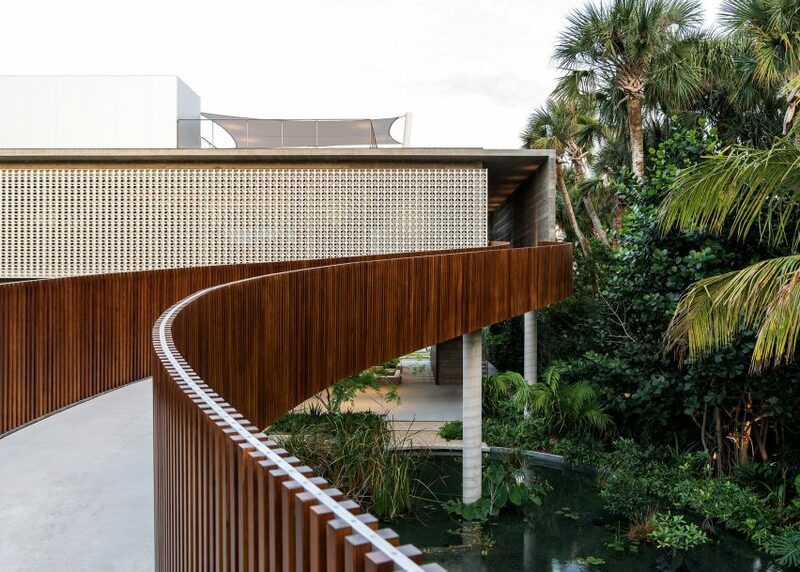 This luxurious Miami Beach residence features a private lagoon where residents can swim with fish, and a bridge walkway that snakes over the top. The manmade lagoon is organically filtered and surrounded by vegetation to provide an "authentically manicured" natural environment for the Florida home. 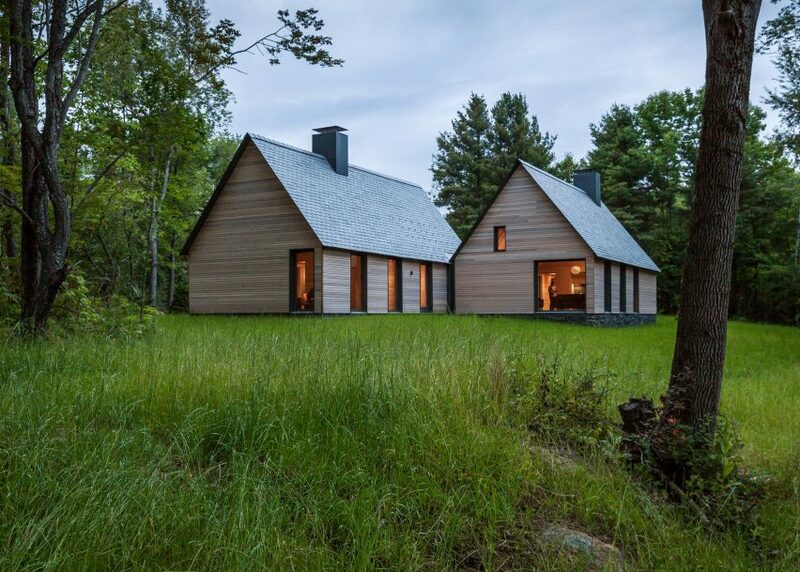 US firm HGA Architects and Engineers took cues from Cape Cod-style homes while conceiving this series of cabins, designed for world-renowned musicians spending the summer in rural New England. The Marlboro Music Cottages are located on the campus of Marlboro College, tucked in the foothills of Vermont's Green Mountains, which hosts the annual Marlboro Music School and Festival. American studio Hazelbaker Rush created a residence where the lower levels blend into the rocky site, while the bright white upper volume stands out in contrast. 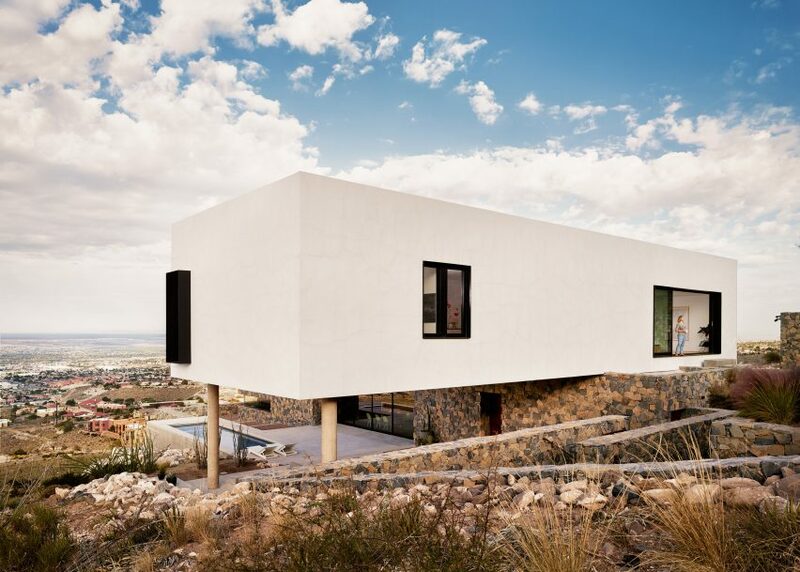 Located on the fringe of El Paso, the desert dwelling is situated in the foothills of a mountain range and is afforded views of the urban landscape below.